Llegir+:Té sentit la educació financera? 24/03/2015 - L’article de l‘Steven Richmond ens dóna 5 consells per transmetre tota l’experiència financera que hem obtingut al llarg de la nostra vida als nostres fills, i d’aquesta manera estimular el seu aprenentatge i preparar-los per a la vida adulta real; on hauran d’afrontar situacions d’independència financera en un futur cada cop més proper. Parents today have survived their fair share of economic crises: the Great Recession, the dot-com bubble and the various oil shocks during the Reagan and Carter years, just to name a few. Years of experience teaches us the importance of financial literacy, but what about the next generation of Americans who are facing financial independence for the first time? Good parents want the best for the children, which means making sure they grow up knowing how to handle their personal finances properly. Try one of these five smart techniques when you decide to start teaching your children how to handle their money responsibly. Children don’t know what to think about anything until someone else tells or shows them how it’s done. 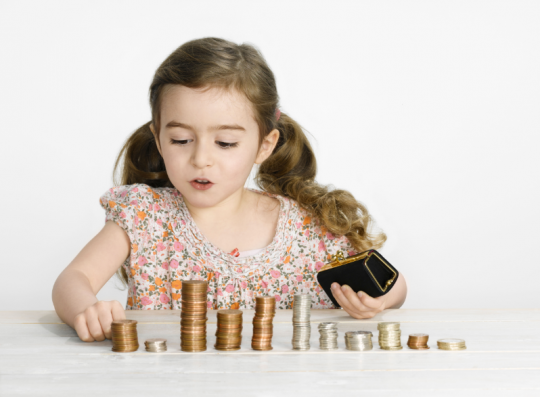 If you really want to kick-start their financial literacy at a young age, think about what it means to be financially responsible and embody that image. This means not taking on excessive debts, prioritizing your purchases, setting a budget and saving money for both retirement and rainy days. Children naturally mirror you and the decisions you make – if you know you’re making smart decisions with your money, chances are your kids will pick up on it and make similar choices. Contrary to popular belief, not all board games and video games are bad for you. In fact, some not only teach financial literacy skills, but require them if the player has any hope of winning. Games like Monopoly, for example, provide a wholesome introduction to spending within your means, planning for the future, calculating percentages and interest rates, and simple arithmetic. Others, such as Starcraft, Sim City and Europa Universalis, teach players how to carefully manage their resources, adapt to a dynamically changing landscape (not unlike the national economy) and set goals for the future. The skills kids learn playing these games will translate elegantly into real-world applications. Don’t forget to join your kids when they play, both for the quality bonding time and in case they have any questions.